Just how patriotic are you anyways? 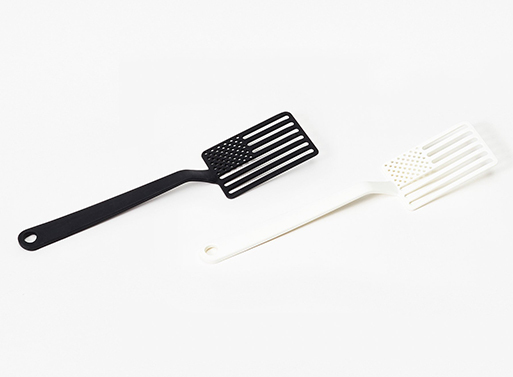 Enough to have your very own Star Spangled Spatula? And, 5% of proceeds will be donated to the Penn Abramson Cancer Center; doesn’t that sweeten the deal? Crafted of solid walnut and stainless steel, this spatula is, of course, hand fabricated by the oldest manufacturer of cutlery in the United States: Lamson and Goodnow. Enjoy your 4th of July holiday! Designed by Jacob Riley-Wasserman, a RISD educated designer from Greenwich, New Jersey.